What I did not anticipate was the sheer contempt with which the opposition would treat the Constitution as amended. 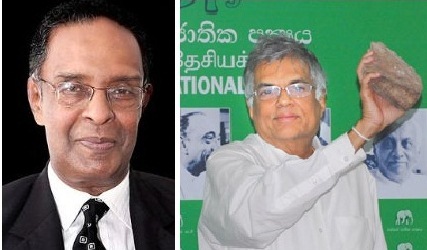 I suppose this is not surprising from a party that voted so consistently to subvert the Constitution it had introduced, through the first and second and abortive third amendments, but it is surprising that no one has drawn attention to the irresponsibility with which the UNP has treated the provisions that provide some sort of check on the absolute power of the President to make appointments to important positions. I have expressed regrets about Mr Sumanthiran’s refusal to accept appointment to the Parliamentary Council created by the 18th Amendment because I believe he could contribute a lot in a small and serious Committee – as I saw when he and I served on the Committee to amend Standing Orders. He would have been both forthright and polite in comments he would have made in the Council on nominees put forward, and if government had reciprocated, there could have been rethinking in cases of obvious unsuitability. The Leader of the Opposition and Mr Swaminathan, having accepted, have completely abandoned the responsibilities they are committed to fulfil. The purpose of such a Council is not, I should add, to select persons to appoint, but to advise on the suitability of those selected by the Executive. Experienced Parliamentarians such as the government representatives on the Council would surely have understood this and worked in a positive way to avoid embarrassment to the government from unsuitable persons. Indeed it is conceivable that, had Mr Sumanthiran served on the Council along with the Leader of the Opposition, Mrs Bandaranayake would never have been appointed Chief Justice. 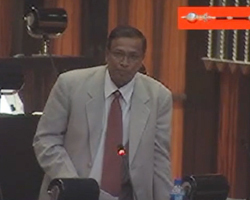 Mr Sumanthiran at least refused appointment. The Leader of the Opposition and Mr Swaminathan, having accepted, have completely abandoned the responsibilities they are committed to fulfil. Had they commented conscientiously on any nominees – as government representatives too are bound to do – the President would then have an obligation to reconsider. When there is no system of review, the President would usually go ahead with appointment of those who first come to mind. It is also more difficult for him to refuse requests, whereas if he could say that those importuning him might be adversely commented upon by the Council, and that would cause embarrassment, he could tactfully turn down those to whom he might otherwise feel obliged. That is one reason why we need checks and balances, but unfortunately the Parliamentary Council, boycotted by the Opposition, does not serve any purpose. The responsibility for that lies totally with the UNP, but on that matter too they have escaped scrutiny, let alone criticism.